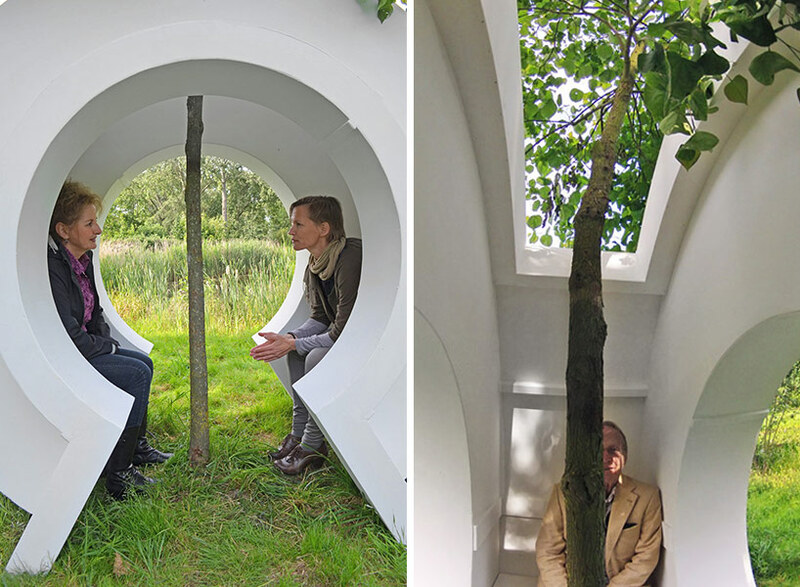 creating a space for both meditation and conversation, dutch artist rob sweere has conceived ‘contemplatorium – love tree’, an arborous, arc-like dwelling situated in a grassy landscape. 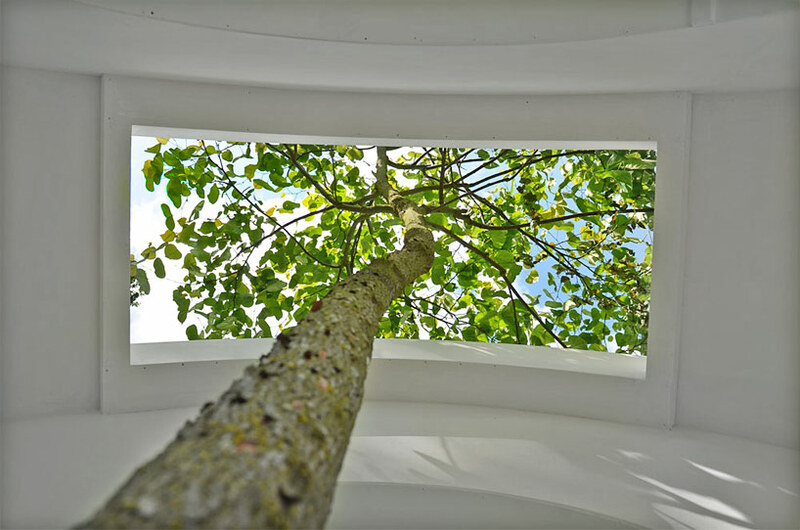 a tree growing at the habitat’s core towers through a rectangular opening at its roof, framing the visible sky in a bloom of leaves. 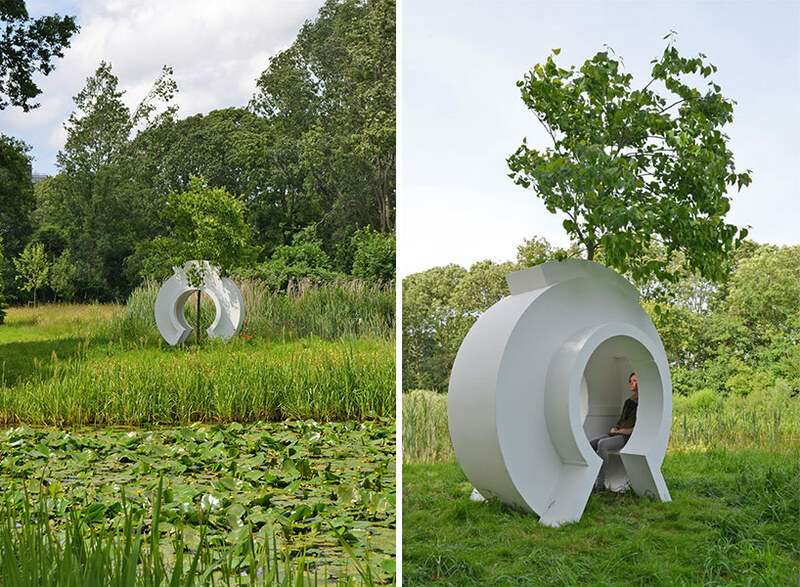 constructed from wood and paint, its hollow interior is fitted with two bench-like surfaces, one on either side, encouraging both communication and contemplation for the pair seated inside. 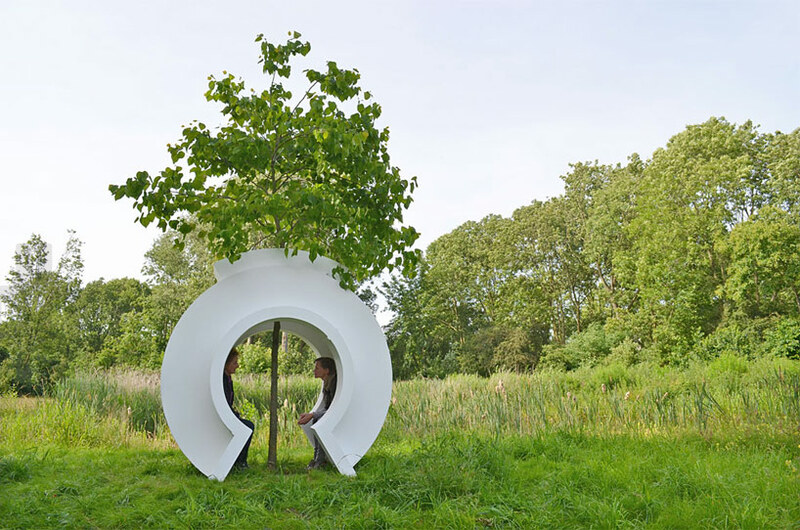 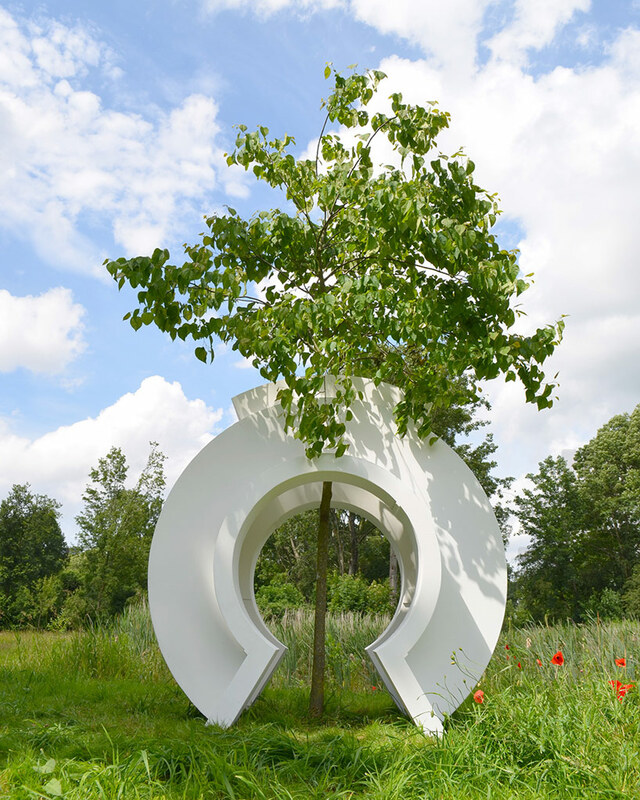 ‘love tree’s’ profile reveals a cut-out silhouette that echos the shape of a keyhole, composing a small window for which a passerby might peer through and see the lush field revealed behind.